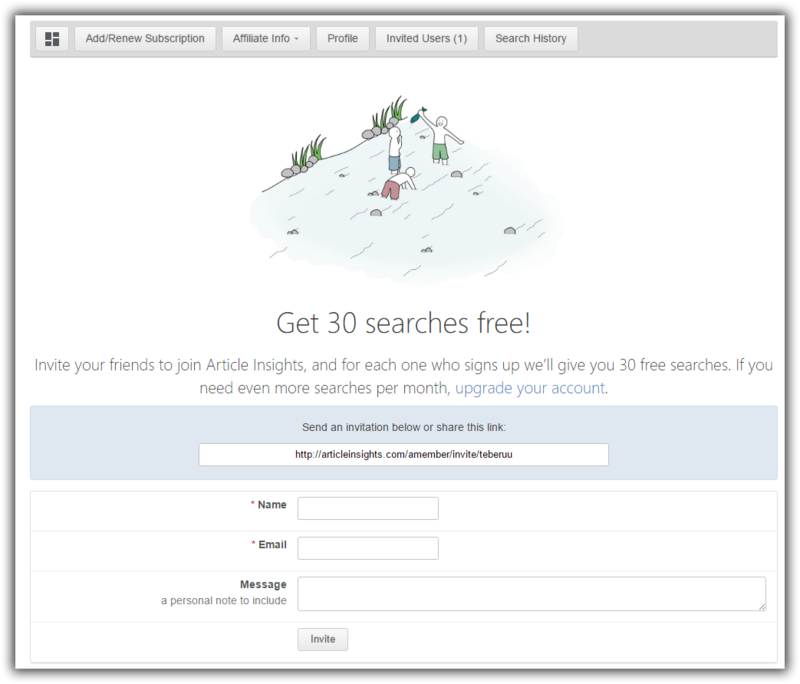 Invite your friends to try out Article Insights, and when they sign up to a paid plan you get 30 free bonus searches added to your account. 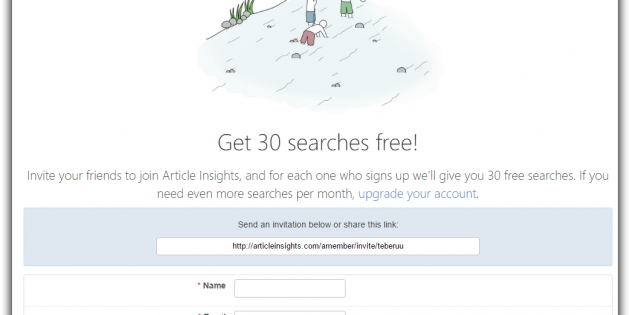 You can either email them a signup link or just copy and share your invite link. To get to your special invite page, click on this link when you sign into the members portal.